Got a favorite BioBrick? Check our our process for expanding basic parts into part families. View our judging criteria for iGEM 2011 here. Welcome to iGEM 2011 at UC Davis! The four of us have been hard at work on this year's project. We've fine tuned a powerful (and simple) part family generation process, and used it to expand the functionality of the LacI promoter, R0010. 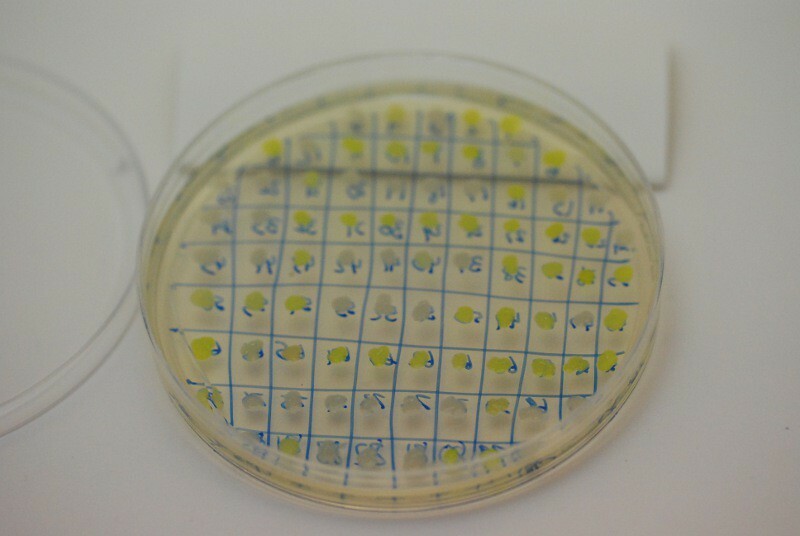 We also mutated GFP! We had a great time at the regional competition in Indianapolis and look forward to seeing all of the other teams at the World Championship at MIT! 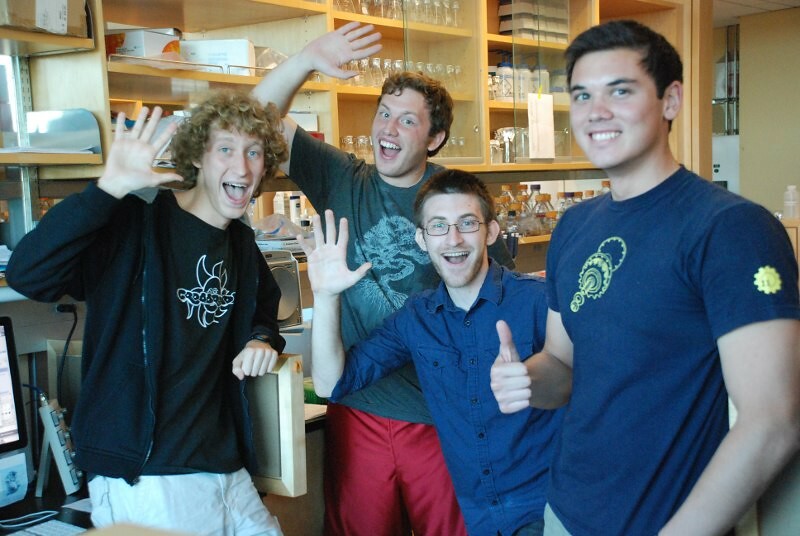 This is the third time a team at UC Davis has competed in the iGEM Jamboree. This year, we are focusing on foundational advances for BioBrick circuit synthesis. Part families, groups of parts with a unified function and differeing characteristics, are some of the most useful parts of the registry. Our project aims to streamline the process of expanding basic parts into part families, from promoters to protein-coding genes. We set out to create useful mutant libraries of commonly used parts, starting with the repressible LacI promoter. You can read more about our project here. We think that thorough characterization should be a priority for all parts submitted to the registry. You can view information about our project here. You can also review our characterization process and characterization data for LacI on our data page. Our part family expansion process turns basic parts into part families. Check out how easy it is to improve your favorite BioBricks! You can also listen to Nick and Aaron discuss the process on our Soundcloud page. The team page has information on the four undergrads that make up this year's team, their advisors, as well as contact information for getting in touch with us. Our safety page discusses the potential impact of our project on environmental, public, and researcher safety. It also contains our answers to the iGEM 2011 safety questionnaire. The notebook page contains daily updates about our progress in lab, and also has a gallery where you can view pictures that we've taken in our lab. Credit for the various facets of our project, from wetlab work to graphic design can be found on our attributions page, along with a list of the awesome, free, open-source software that we used to make this project happen.